In places like Woodstock, Vermont, there’s always a long stretch of uncertain weather where it rains one hour and snows the next. During this time you can’t count on the forecast, but you can count on it being cold. Waterproof, breathable and warm, the Insulated Torrentshell Parka keeps you comfortable in seriously wet weather. It has an H2No® Performance Standard 2-layer 100% recycled nylon ripstop shell with a waterproof/breathable barrier and a DWR (durable water repellent) finish for absolute storm protection. Lightweight, heat-trapping 200-g Thermogreen® polyester insulation (92% recycled) wraps you in warmth. A 100% recycled polyester lining wicks moisture and glides smoothly over layers. The 2-way adjustable, removable hood provides great visibility in a downpour, has a laminated visor to help protect your face, and is insulated to keep your head nice and warm. 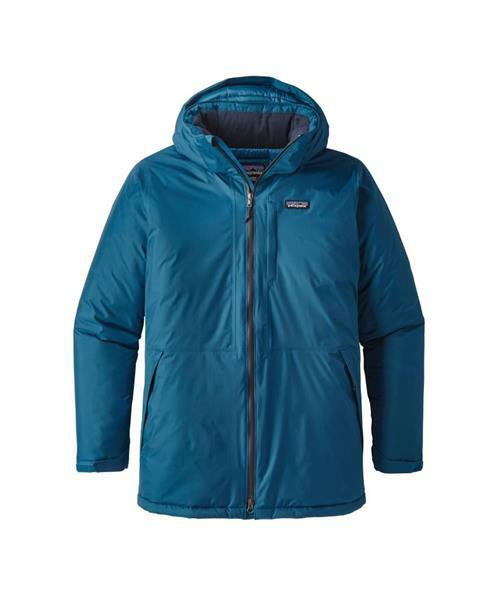 The center-front zipper is coated with polyurethane to keep out the wet and features an interior storm flap that turns into a zipper garage at the chin. The neck is lined with soft and comfortable microfleece. It has zippered handwarmer pockets and a chest pocket designed for headphone compatibility. Dual-adjust drawcords at the hem and interior waist seal out the elements and seal in the warmth. Lower-hip length.